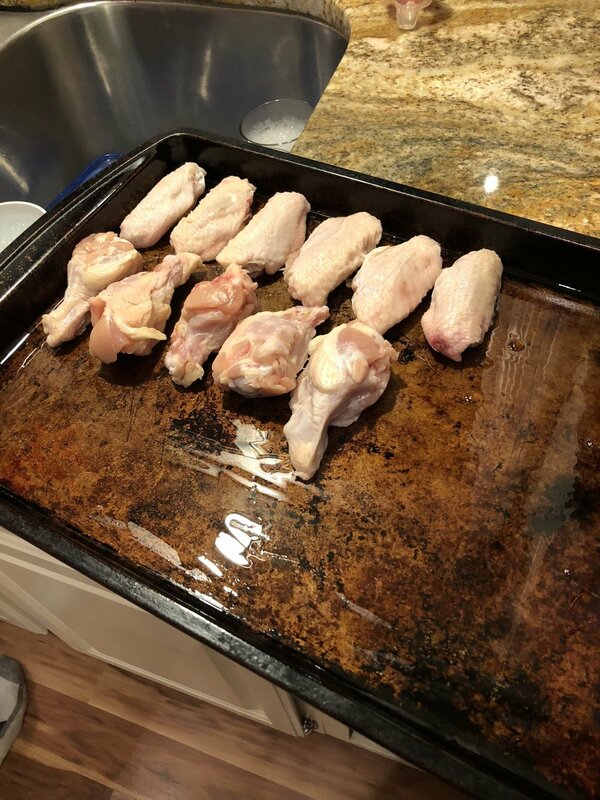 If you like crispy chicken wings, these are the very best and healthiest way to make them at home. 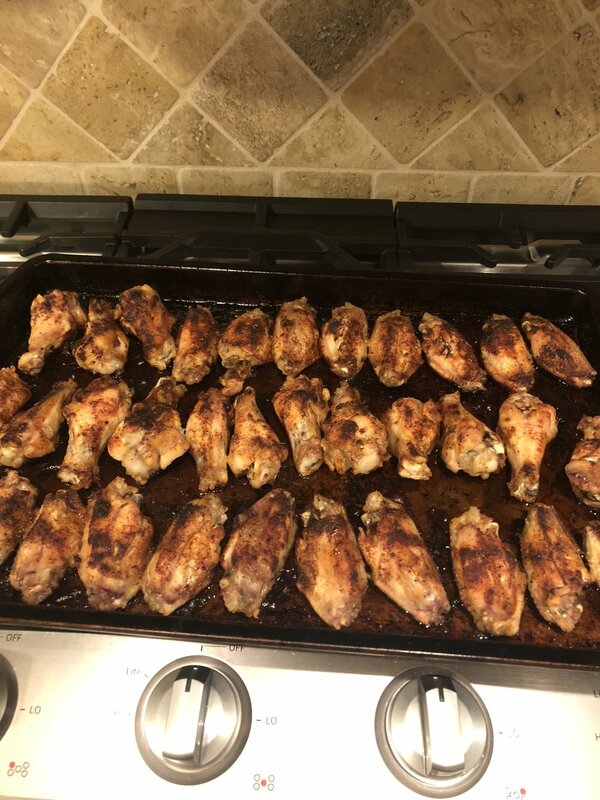 I love wings, and I hate it when you order them from a bar or restaurant and they come out and they're all soggy and limp. Once I realized I could make my own wings just the way I like them, we rarely order them out any more. And they are so much healthier because they are baked! Two little tips here. First, I use medical gloves when handling raw meat so I don't have to wash my hands a billion times, just once when I take them off. Second, your wings will be done when they are almost looking like they'll burn. You could use some kind of sauce after this, but you will not need it. We use our most busted up cookie sheet for this. 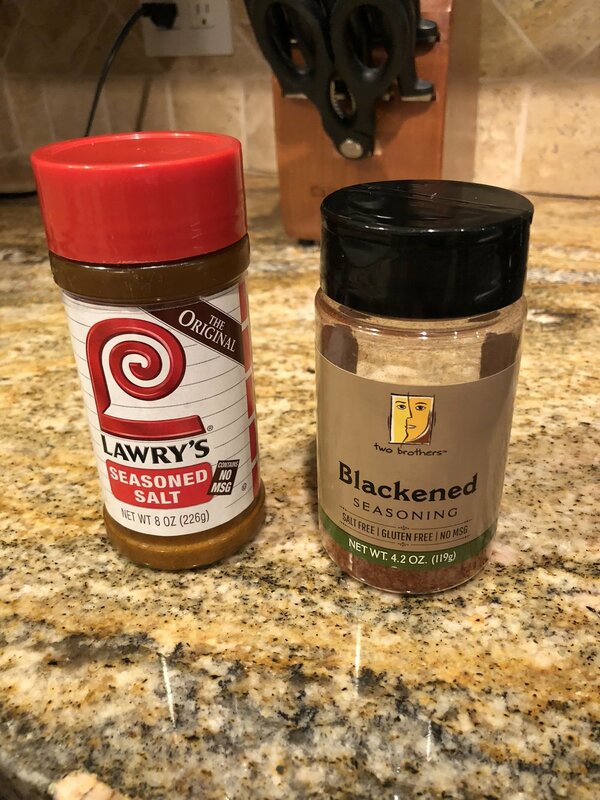 We just use Lawry's and picked up this other dry rub at a local grocery store. Tip: if you ever see the coffee rub at Trader Joe's it is awesome! They only carry it in the spring.